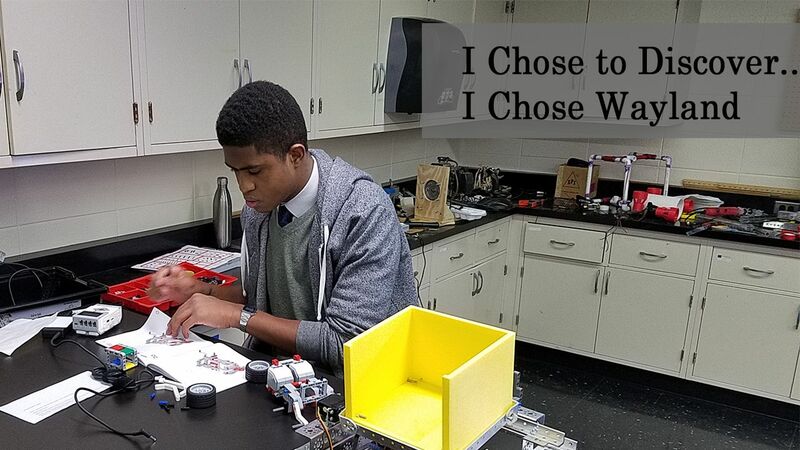 Wayland's commitment to a creative, comprehensive college preparatory education includes STEAM (Science, Technology, Engineering, Art, and Mathematics). This collaborative interdisciplinary program that combines science, technology, engineering, art and mathematics and enhances students problem solving and critical thinking skills. STEAM courses include Intro to Robotics Design, as well as a competitive extracurricular Robotics Club. As students progress in this pre-engineering program, they have even more opportunities toexpand their knowledge with courses in Structure &amp; Design, Manufacturing, Graphic Design, and advanced STEAM II concentrations.